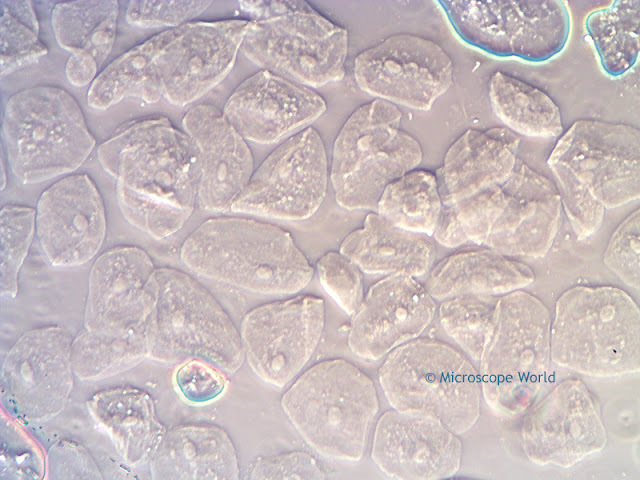 Phase contrast microscopes are used to examine specimens that are the same color as their background and need a bit of "pop" in order to differentiate them. Samples where staining is not an option (or might kill the specimen) often utilize phase contrast. 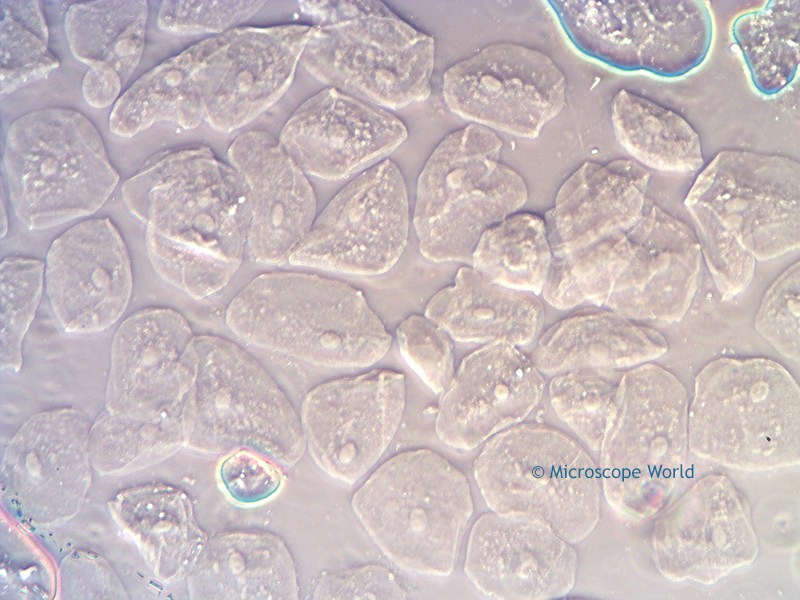 Cheek cells captured at 100x under a phase contrast microscope. In the image above you may notice a few blue highlights around several of the cheek cells. These are actually air bubbles that were caught between the microscope slide and the cover slip when the sample was prepared. You can learn more about phase contrast here.